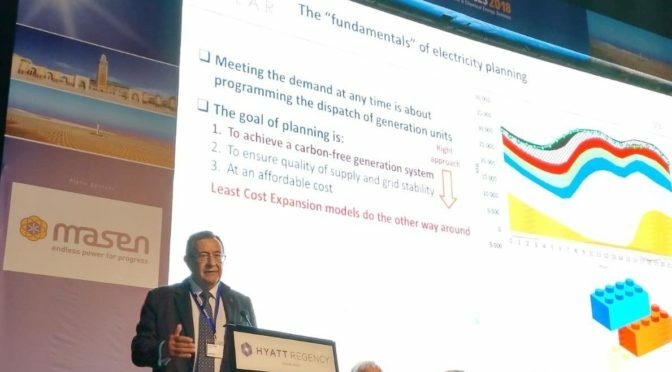 Luis Crespo, president of Protermosolar, has presented in the plenary session a report that shows that the concentrated solar power allows to reduce the need for fossil fuel backup. 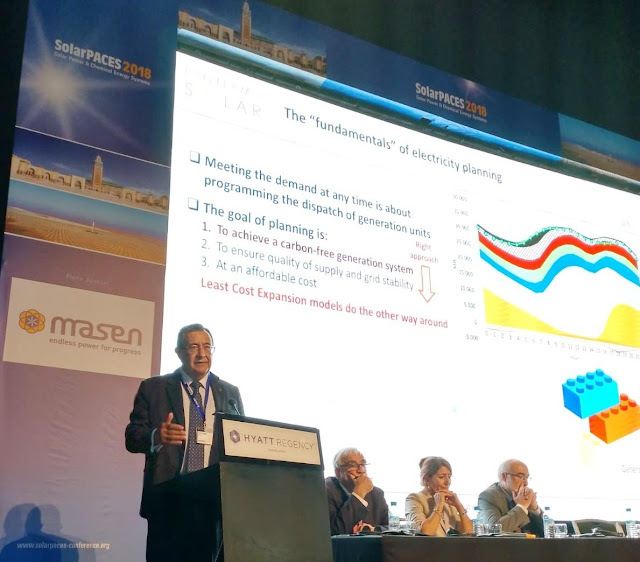 The XXIV edition of SolarPACES was held in Casablanca (Morocco), with the participation of more than 550 attendees from 41 different countries. The chairman of Protermosolar, Luis Crespo, has presented at the plenary session of the SolarPACES 2018 congress – the most important scientific event in the world of concentrating solar power, which was held in Casablanca (Morocco) with the attendance of more than 550 participants from 41 different countries-, the “CSP: Supporting Mitigation of Climate Change”, which details how solar thermal energy can reduce the need for fossil fuel backup and, therefore, mitigate and curb climate change. For Protermosolar it is obvious that all the new capacity installed in Spain in response to both the increase in demand and the progressive closure of conventional power plants (short-term coal and nuclear to medium) will be renewable, so it is necessary to have with solar thermal power to generate electricity when photovoltaics stop doing it (from sundown to sunrise). The solar thermal power plants can begin to dispatch the energy collected during the day in all the time slot that the photovoltaic can not, its generation is synchronous and has a firm program without detours until emptying its hot storage tank, with negligible energy losses during the waiting hours. 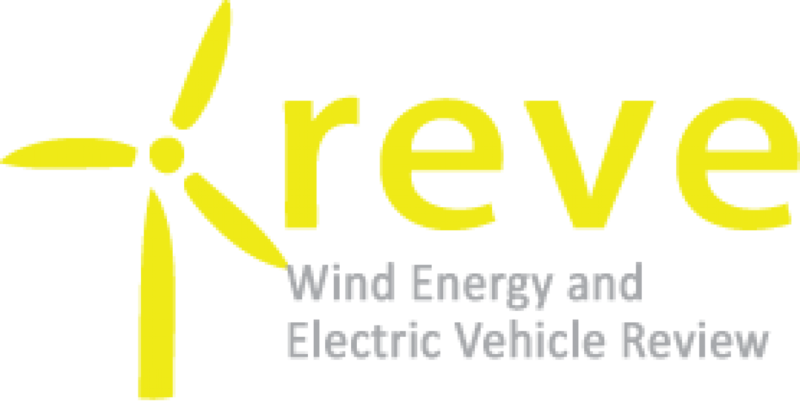 Protermosolar has also participated in one of the parallel sessions, called Policy & Marketing, in which he presented the presentation of the methodology and results of the Transition Report of the Electricity Sector. Horizon 2030, in which a scenario is projected for that year without coal or nuclear power plants and with less support from combined cycles. The study is a projection made from the actual generation time data of the last four years. 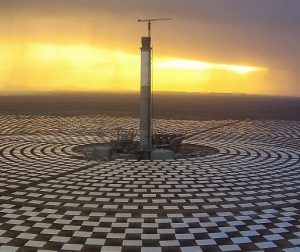 After the congress, there was a visit to the world’s largest concentrated solar power complex, located in Ouarzazate (Morocco). This complex consists of more than 550 MW of installed power with two technologies, concentrated solar power (510MW) and photovoltaic (70MW), with high participation of Spanish companies in the EPC. 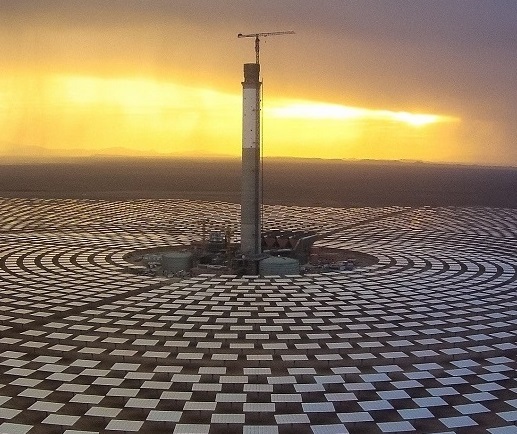 There are three solar thermal power plants, all of them having in common to maximize the generation of electricity during peak hours of demand. These peak hours take place after sunset, which is why the storage of these plants plays an essential role in their operation strategy. The first of the plants, already in operation, is NOORo I, 150MW, parabolic trough technology and three hours of storage; the second plant is NOORo II, of 200MW, parabolic trough technology and seven hours of storage, and the last one is NOORo III, of 150MW, tower technology and 7 seven hours of storage.